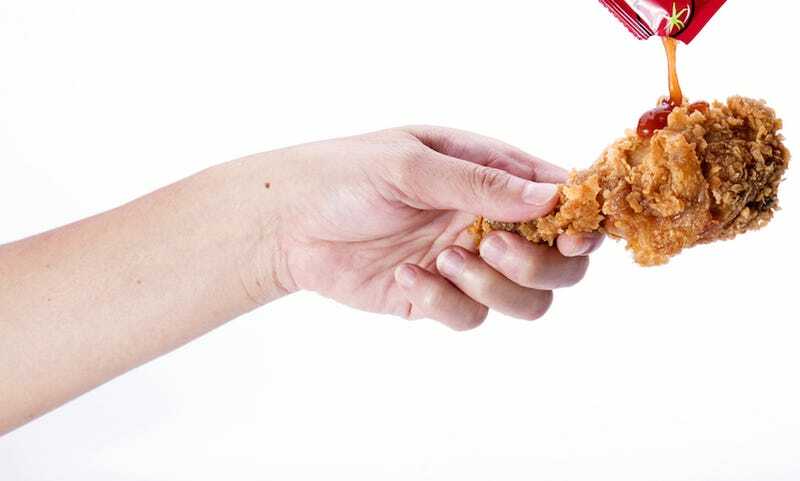 Early Friday, KFC Australia quickly deleted and apologized for an ad campaign tagged as “#NSFW” that featured a woman reaching for a worrisomely large pixelated item thrusting forth from her partner’s lap. What is the problem, you guys? Everybody knows about fried chicken, and everybody knows about handjobs. I have known about handjobs since at least the 6th grade, if not the “hot and spicy” and vaguely threatening kind hinted at in this ad. Handjobs are sometimes okay, I’ve heard. Fried chicken is usually great, except at KFC. After looking at this ad, I want to participate in at least one of these not bad activities (fried chicken).